Miami-Dade law enforcement officials said in a statement that an accident happened near Southwest 37th Avenue and Eighth Street when a vehicle crashed into a City of Miami Fire Rescue truck that had its sirens and lights flashing. The rescue truck was not carrying any passengers at the time of the accident. The driver of the car was taken to the hospital with minor injuries. The passenger who was in the vehicle, however, suffered serious injuries. One of the first lessons that a new driver learns are the rules on how to share the road with emergency vehicles. There are certain procedures in place to ensure that the safety of everyone is protected while the emergency responders can get to their calls safely and quickly. Police cars, fire trucks, ambulances, and other types of emergency vehicles also have the potential to be in or even cause accidents while they are on a call. Accidents involving emergency service vehicles can happen for any number of reasons. Some causes of such accidents may include driving at excessive speeds, reckless driving, inadequate training, hazardous weather conditions and driver distraction. In spite of what may have ultimately caused an accident, drivers of emergency vehicles are required to take certain precautions to ensure the safety of the public in the same way that every other driver on the road has to do. Although emergency vehicles such as police cars and ambulances are not are not required to stop at all red lights when responding to an emergency call, their sirens and warning lights must be on. If you or a loved one has been involved in an accident involving an emergency vehicle, give our offices a call. When dealing with emergency services that are run by city or municipalities, quick action is the key. With such accidents, there are definite time limitations as to when someone can file a claim against a City, County, State or even Federal Government entity. That is why having an experienced legal professional on your side is your best course of action. 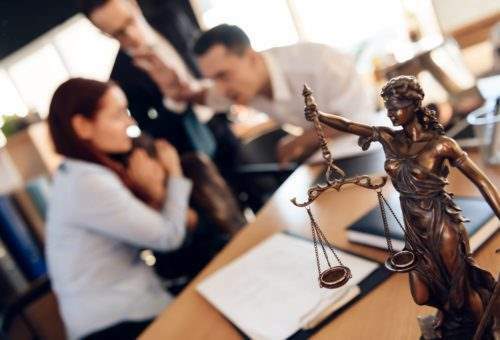 We have years of experience with the Florida legal system and we can help you recover the medical costs, the expenses of ongoing treatment and pain and suffering to get you what your case is really worth. We are here to help you. Your initial consultation is confidential, free, and without any obligation to you.